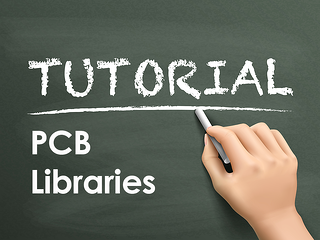 To begin, open your library in Library Manager. Select a symbol which will be used as a template. In this instance the part is a 34 pin connector which exists in the Optimum Library. Right click the symbol and click Edit. The symbol editor will open with the selected symbol displayed. 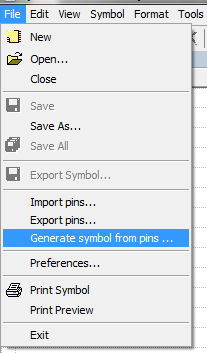 We will export the pins of this symbol to a .csv file, and open it in Microsoft Excel to make changes. Name the file something relevant, and save it in .csv format. Navigate to the .csv on your hard drive, and open it with Excel. 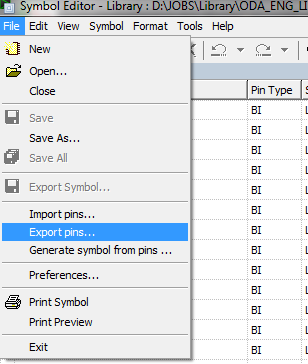 Take note of how the pins are organized in the spreadsheet, and the order in which they are displayed. For this demo we will delete pins 30-34 from the symbol. All desired changes can be made to the symbol in this spreadsheet; including changing numbering, inverting pins, adding new pins, etc. 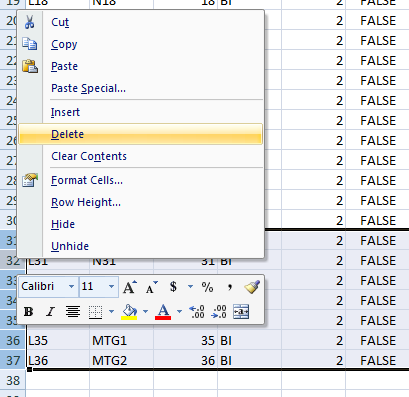 This simply requires deleting the relevant rows from the .csv file. 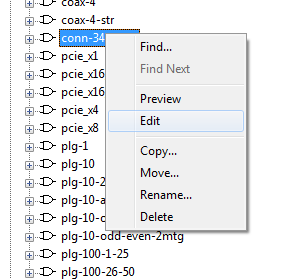 We will also remove the mounting holes from the symbol, again, by simply deleting the rows from the .csv file. 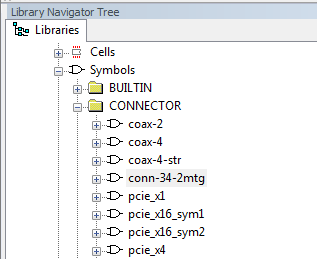 Save all changes made to the pinout, and exit Excel. Navigate to the edited .csv, and Open. The symbol is automatically generated with the updated input and output pin configuration. Pins 30-34, and the mounting holes, have been removed as desired. Apply any necessary changes to spacing and labeling size, and clean up the symbol as necessary per your company or customer's specifications. 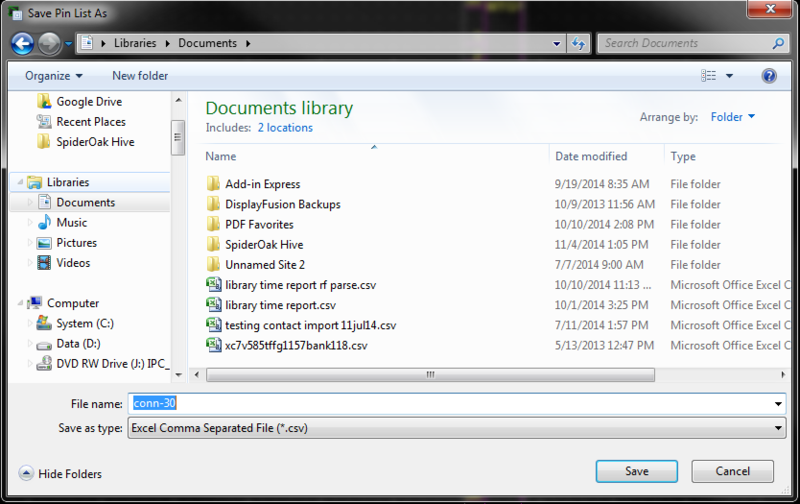 Click File > Save As to save the new, edited symbol.